Adele is about to hit the jackpot in Las Vegas. That’s if, and it’s a big if, the rumors swirling that the English singer-songwriter is being courted by a major Strip casino conglomerate are true. 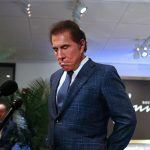 According to The Sun, a tabloid that has the largest daily circulation of any newspaper in the United Kingdom, Wynn Resorts is working on a residency contract that will pay the A-list superstar nearly $500,000 per show. The total deal is reportedly worth over $26 million, and will require her to perform just once a week. The tabloid’s source also claims Adele stands to rake in even more dough through VIP meet-and-greet packages that will run over $26,000 per ticket. Before Adele fans start looking to book Las Vegas travel for 2018, it’s worth noting that The Sun’s track record when it comes to reliability is shoddy at best. A survey in 2014 conducted by the BBC found The Sun to be the least-trusted source out of 26 total newspapers. Wynn Resorts responded to the gossip by saying the reports are not true, and the company has not offered Adele such a lavish residency contract. 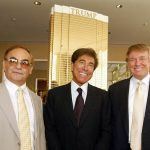 The Sun’s report has plenty of wholes, starting with its reference to Steve Wynn’s company. Instead of calling it the proper name, Wynn Resorts, The Sun article calls it the Wynn Hotel. There is no such thing as the Wynn Hotel. The corporation’s portfolio includes Wynn Las Vegas and Encore at Wynn Las Vegas, both of which have hotel towers. The tabloid also fails to reveal its insider source, always a telling sign that a media outlet that specializes in sensationalism might be spreading lies in order to gain easy website clicks. While the odds seem unlikely that a Wynn representative with knowledge of Adele negotiations would share them with The Sun, it isn’t totally out of the realm of possibilities that the singer would accept a Las Vegas residency. Adele capped off her most recent last summer in disappointing fashion. She was forced to cancel her final two tour dates after damaging her vocal cords. She’s now taking time off, spending time with her four-year-old son at her home in West Sussex, England. Adele has mentioned in the past that touring and being away from her child is difficult. That’s why some believe a residency might be in her future. It’s not the first time Las Vegas rumors have circled around Adele. In January, reports surfaced that MGM, Las Vegas Sands, and Caesars were all pursuing her. Las Vegas is no longer a place where tired acts go to make one final buck. Instead, casino resorts have looked to younger acts and current stars to bring in the much sought-after millennial demographic. Britney Spears’ Caesars residency has sold over $100 million in tickets. Mariah Carey and Jennifer Lopez have also recently held Las Vegas residencies, and comedian/actor Adam Sandler is performing a limited residency engagement at The Cosmopolitan next month. While it’s unclear what the odds might be of Adele accepting a casino offer, multiple Strip operators are almost certainly pursuing her employment.